If one were to describe Hokkaido’s natural environment using a single word, “diversity” would be that word. Its 83,500 square kilometers of land area is characterized by the diverse natural environments and assorted biota found within. 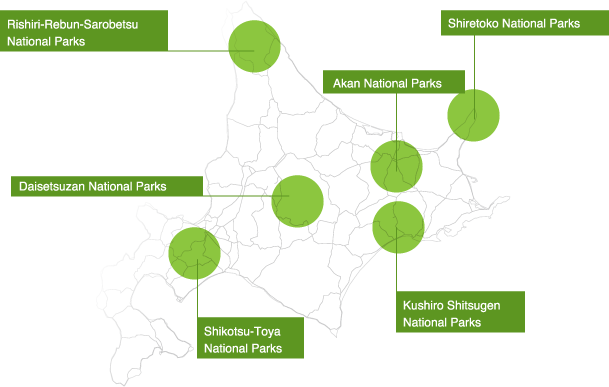 From the World Natural Heritage Site of Shiretoko to the six national parks, and 12 wetlands registered under the Ramsar Convention (as of 2010), each of these natural wonders sets a stellar example of Hokkaido’s rich natural surroundings. Amazing HokkaidoInvitation from eastern Hokkaido. You’ll be attracted nature, hot spring and food.